Bake Off gave me some really big cravings this year – Tiramisu cake, come to meeee – and also some new savory inspiration. 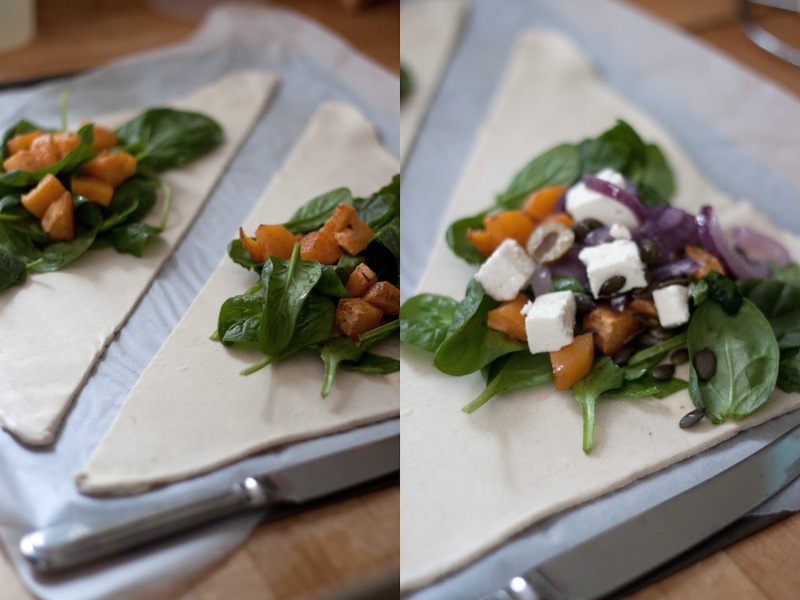 Rather than reach for the pizza in our house, we love a puff pastry treat now again. 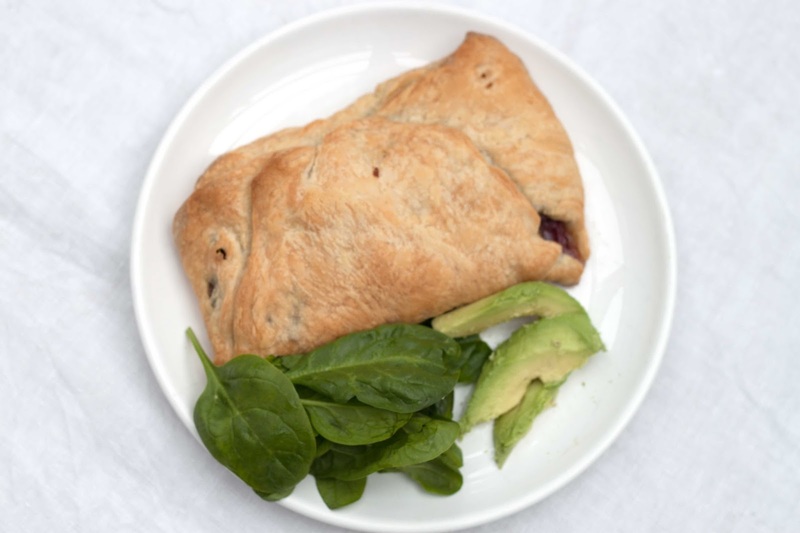 Tarts galore topped with vegetables are always a filling treat, and now we’re switching it up into a turnover-pastry extravanganza – it’s more exciting than that I assure you. Filled with warm, spiced veg along with some crumbly feta, it’s a perfect dinner to serve up or easy to make into mini appetizers for party season – hell yeah for multi-purpose recipes! 1. Preheat your oven to 200°c. 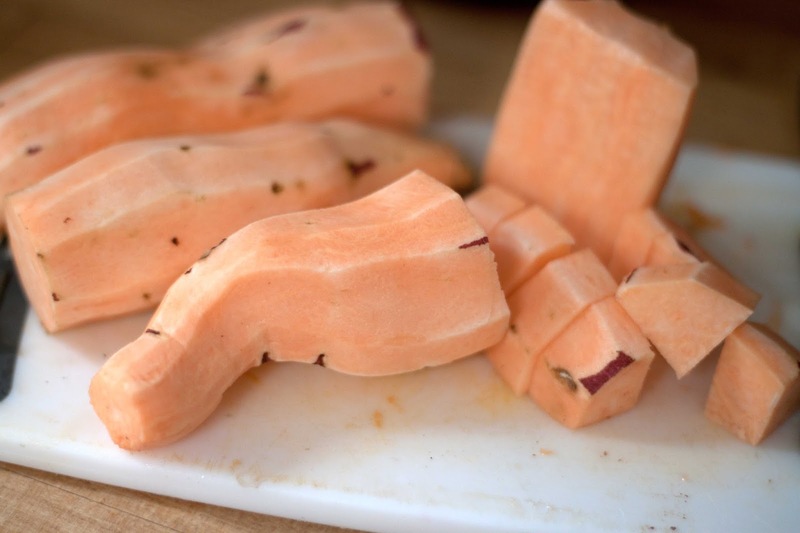 Wash and peel the Sweet Potatoes and cube into small chunks before popping them in a baking tray with coconut oil. Season with herbs and spices and bake for 40 minutes to an hour. 3. Pastry time! 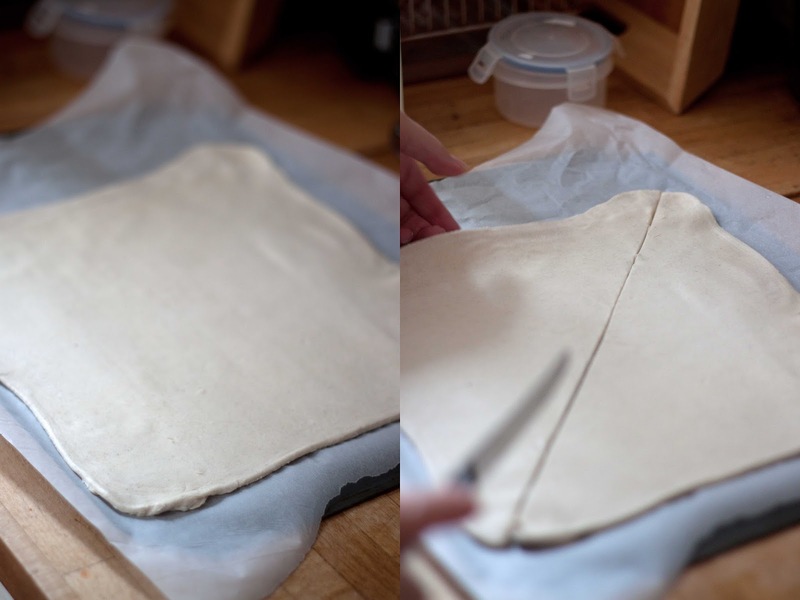 Take your dough and roll into a square shape (don’t forget to flour your surface and rolling pin!) before cutting into two triangles. 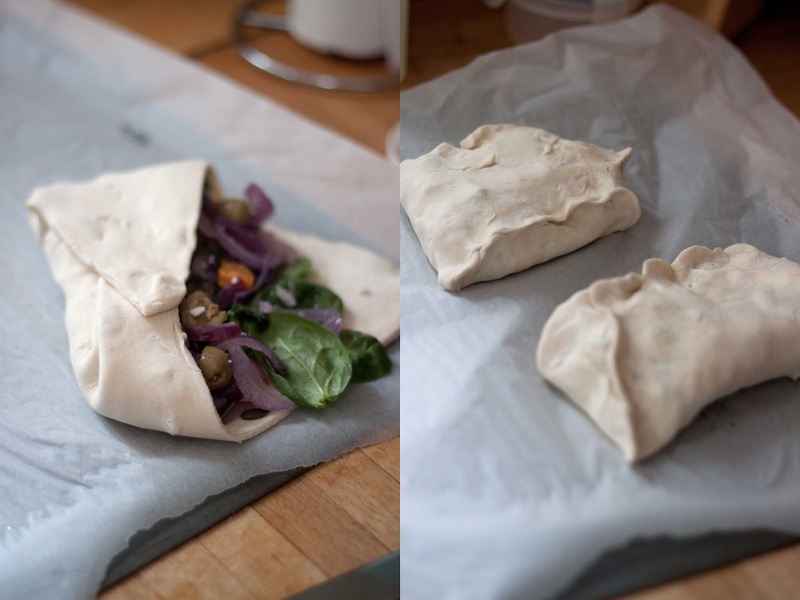 Layer up your fillings starting with the spinach until you’re unable to fold it – stuff that parcel! Fold into an envelope, crimp the edges and pop into bake for about 20-30 minutes until golden brown and flaky. 4. 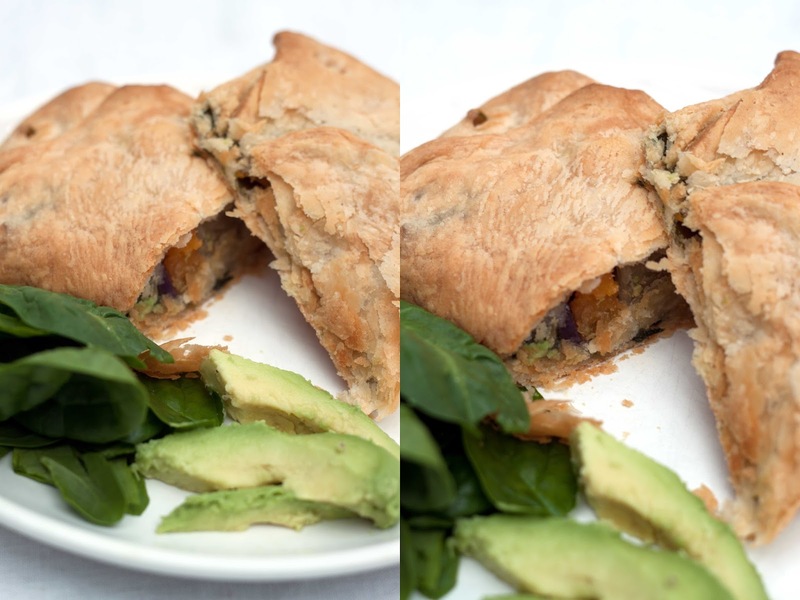 Once cooked, remove from the oven and serve with some avocado, salad, roasted veg – jazz it up all you like! Create a taste sensation quickly and easily with just a few ingredients to wow. 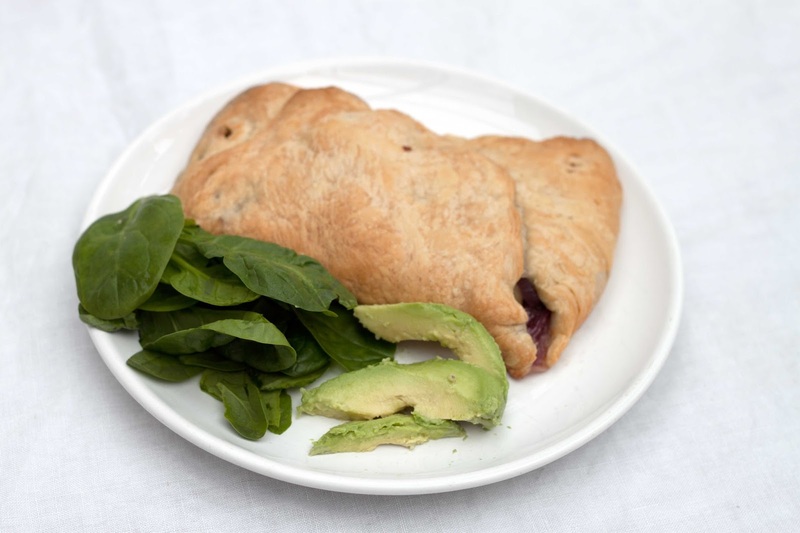 I think pasty is one of those things I’d love to master from scratch, but until then,I’ll keep on filling my own versions with fresh, home-cooked veggies. 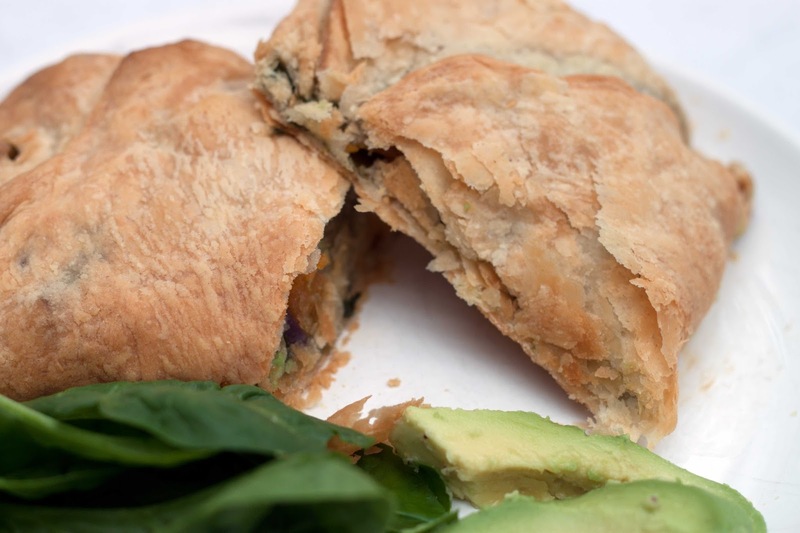 There’s so much you can do with puff pastry, and the flavour combinations are fantatstic. 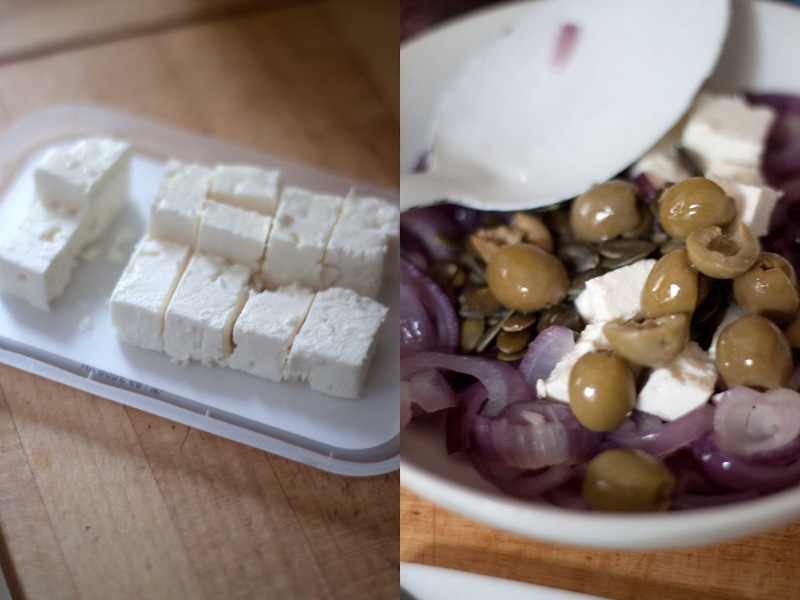 The saltiness of the feta blends well with the spiced sweet potato and sweet onions, and is a crowd pleaser for any meal or party. If you’re looking for a twist on an autumn/winter warming meal, then give a pastry dish a go and see what amazing flaky goodies you can try. Who knows, Bake Off may inspire me to make my own dough next time…. Are you a fan of tarts and puff pastry dishes? What flavour combinations do you love?